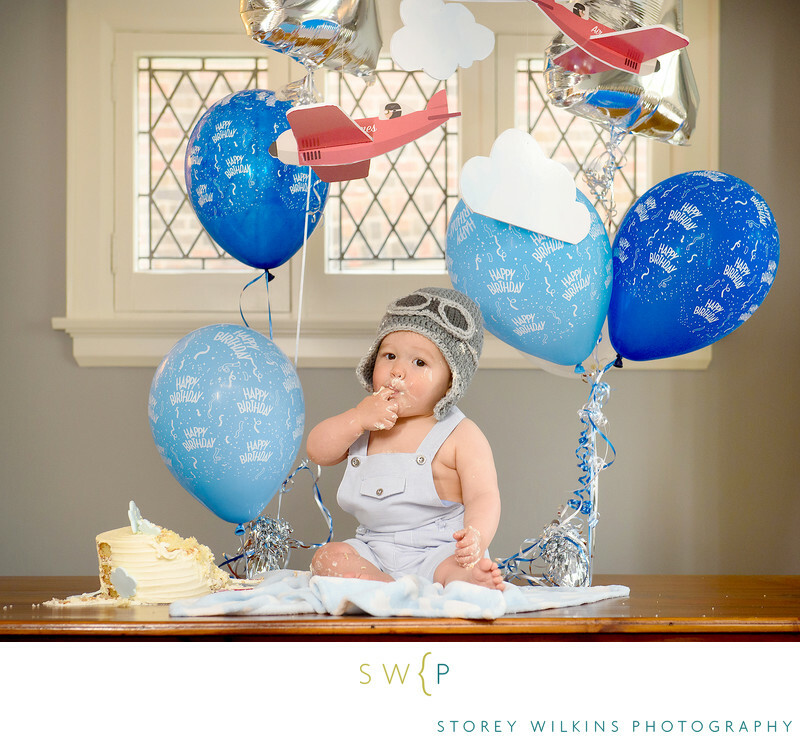 I just adore the airplane theme that this wonderful mother came up with for her son's first birthday. Every detail was carefully thought out before hand, including outfit choice, airplane details, balloons and cake. My personal favorite was the priceless hat and goggles worn by this cutie. What a fun cake smash baby portrait this was!